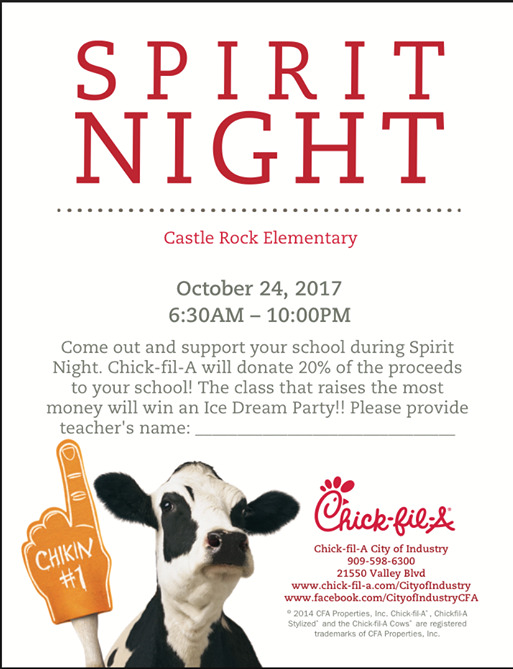 Come support our school at Chick-fil-A on Tuesday, October 24th anytime from 6:30am-10:00pm! Show this flier or present this image on a mobile device. 20% will go back to our school.